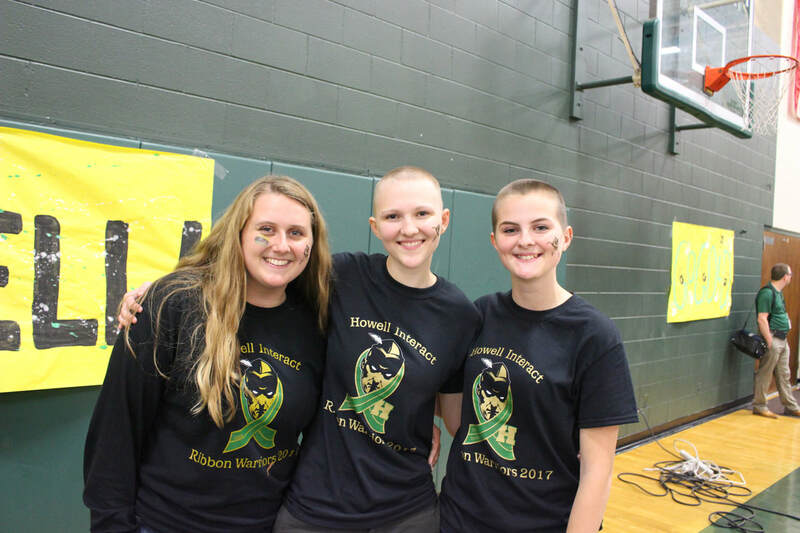 Ribbon warriors is formerly known as St. Baldrick's. 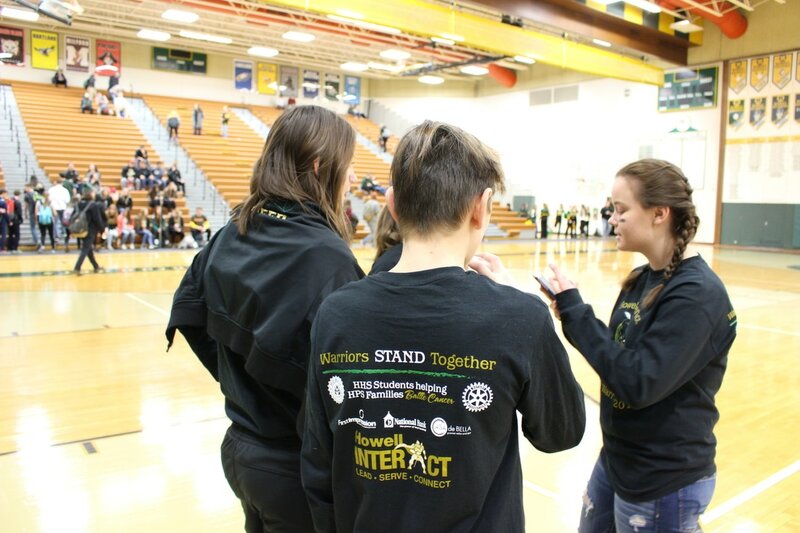 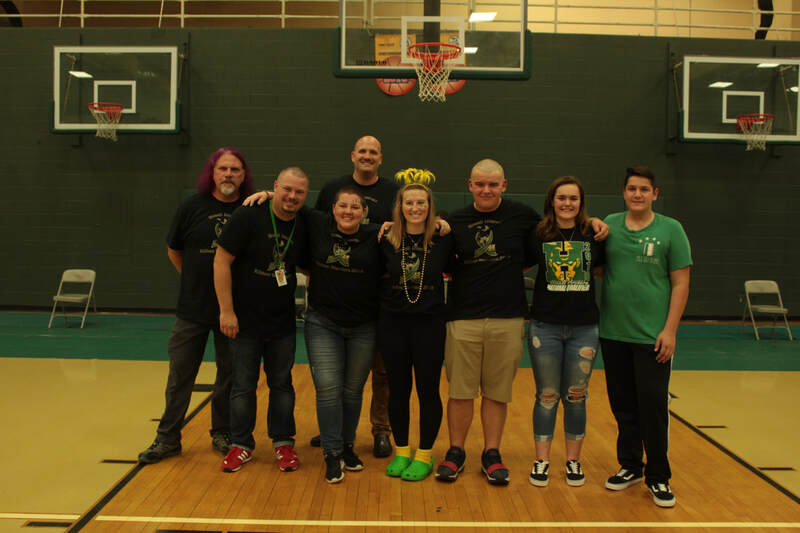 Interact Club partnered with St. Baldrick's from 2012 to 2015, then we decided to start our own organization to keep the donation local. 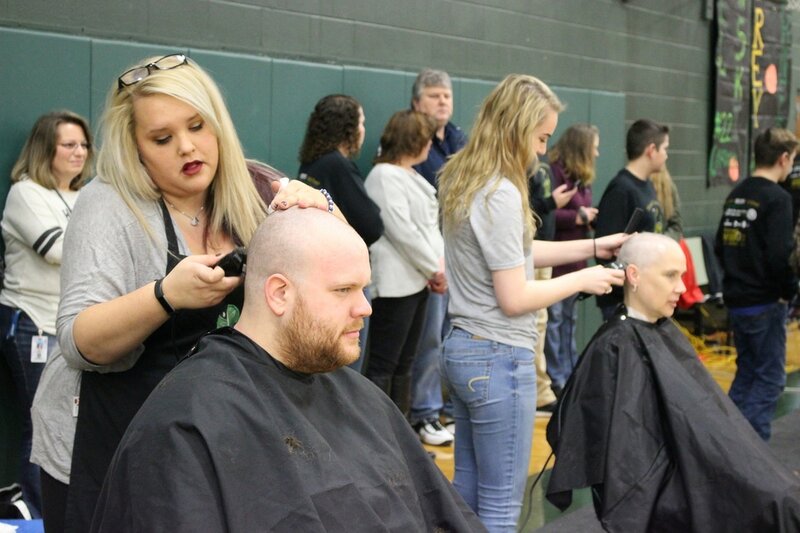 Our goal is to raise money for Howell Public School families impacted by cancer. 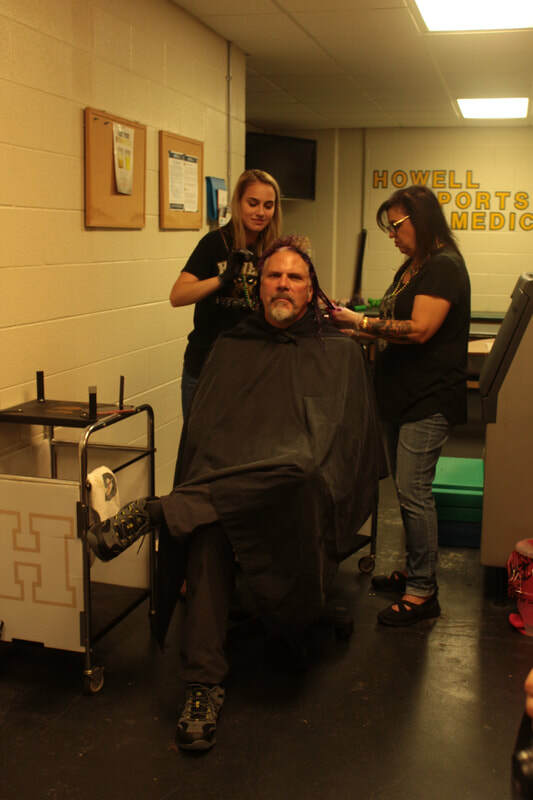 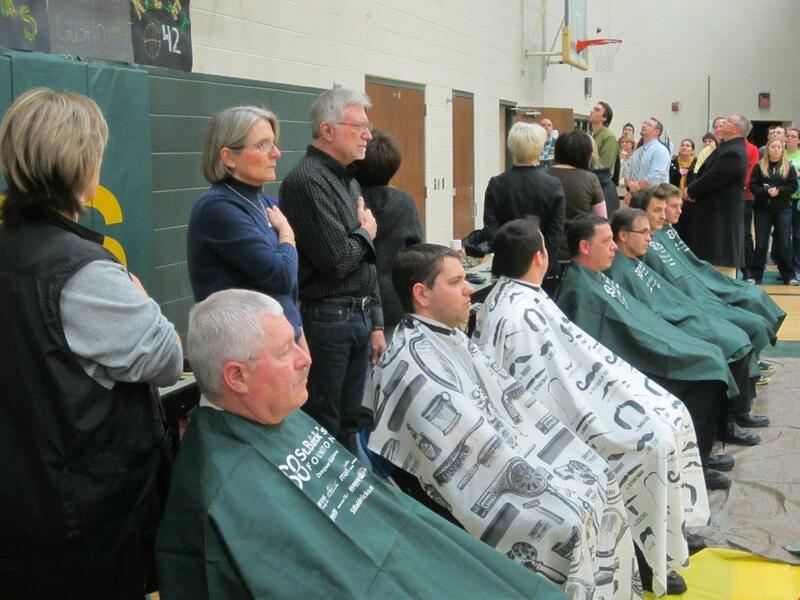 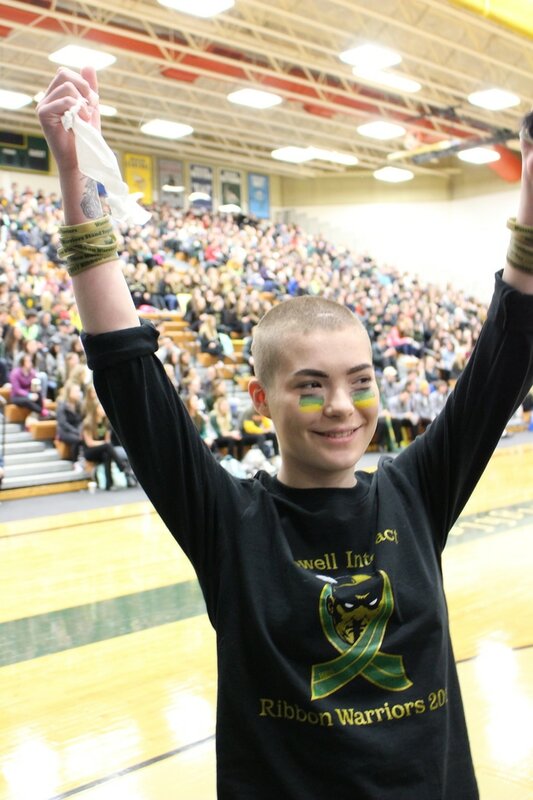 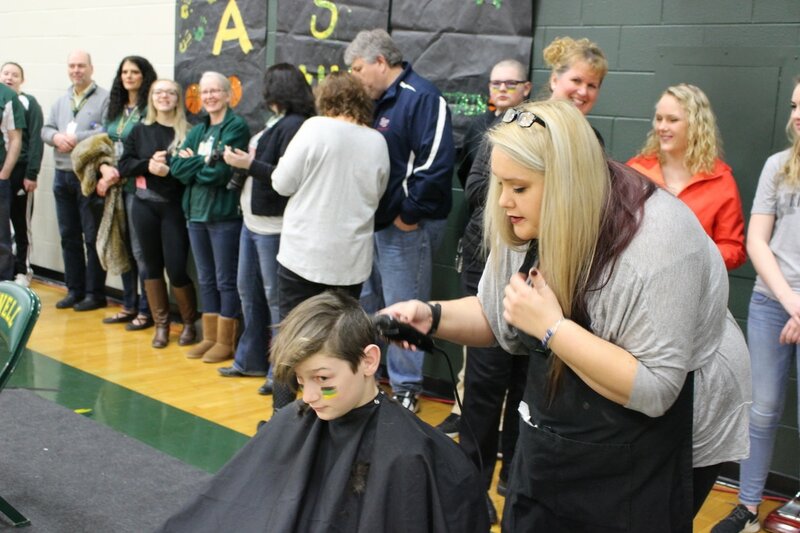 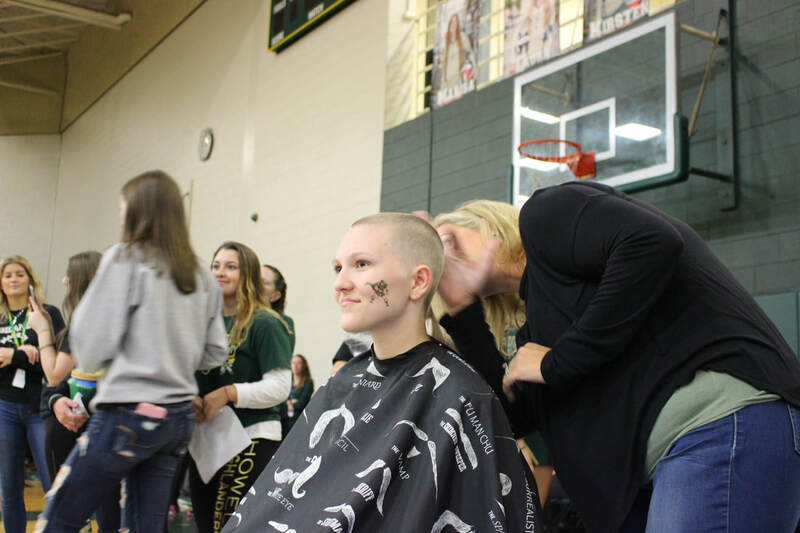 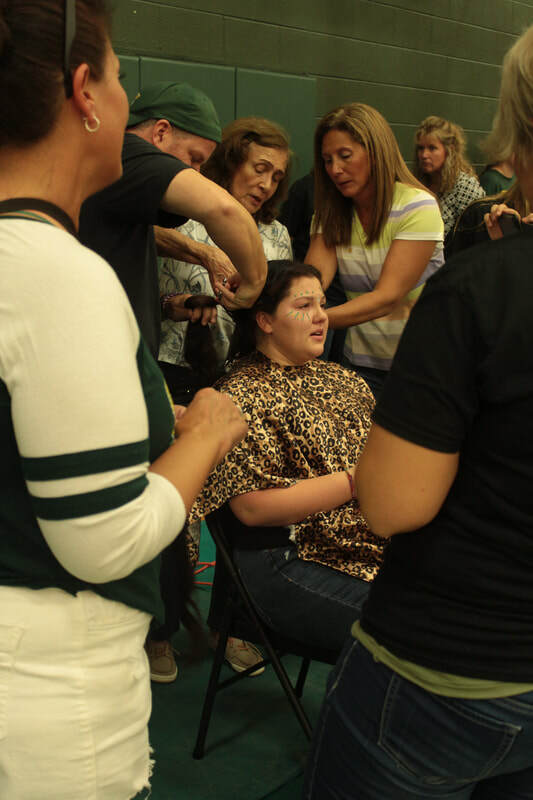 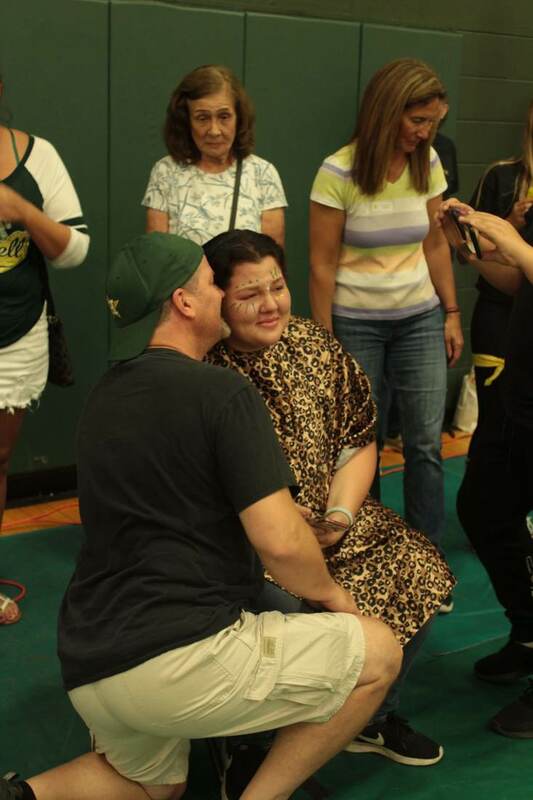 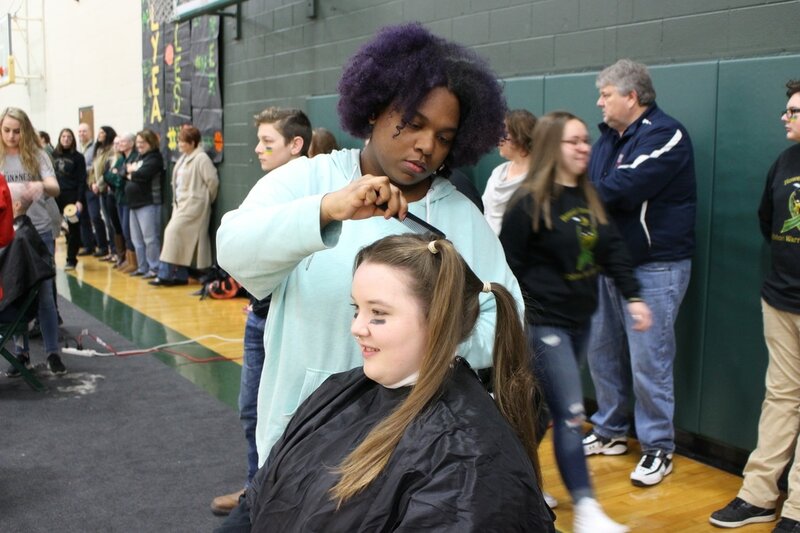 Howell High School faculties and students volunteer to shave their heads, and go around the school and community to raise money in one week prior to the assembly. 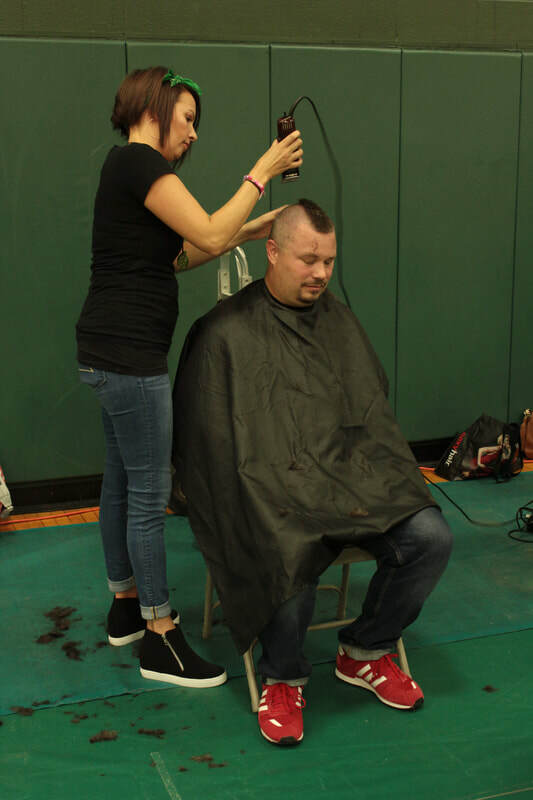 This year, our Ribbon Warriors shavees went around the school to collect money, bringing in about $2,000 to donate to the community. 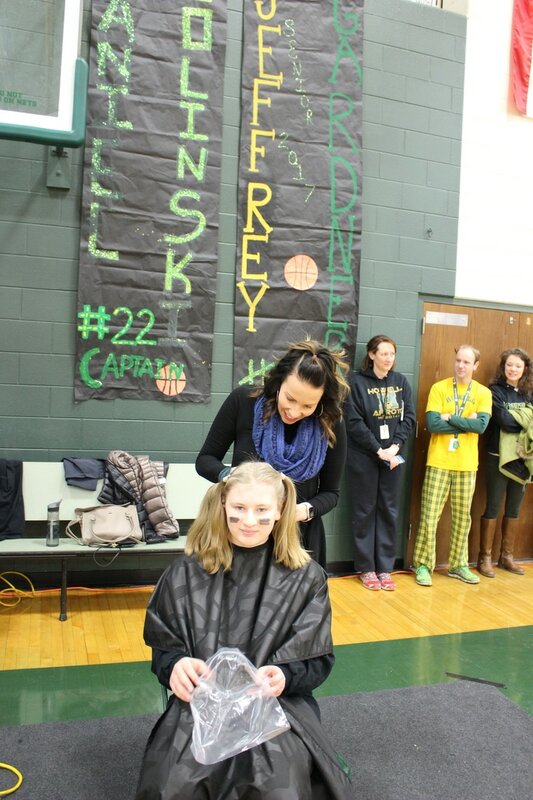 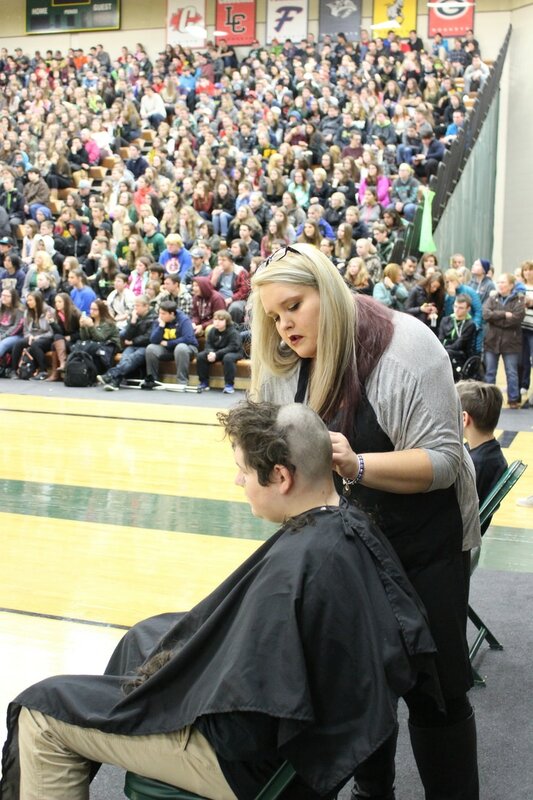 We had two students and three teachers participate in shaving/dying their hair to bring attention to this cause. 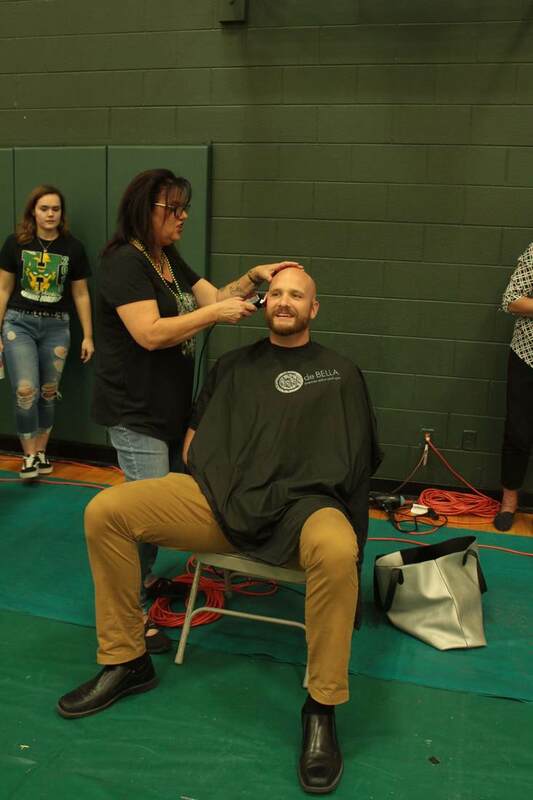 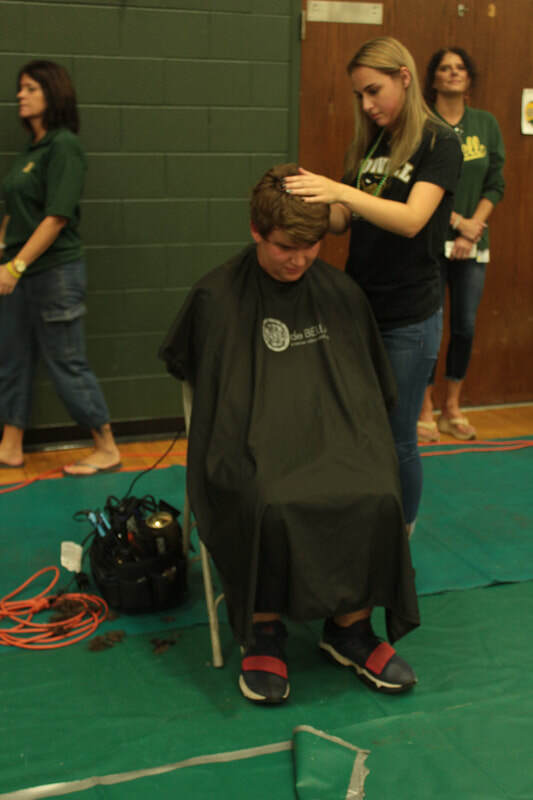 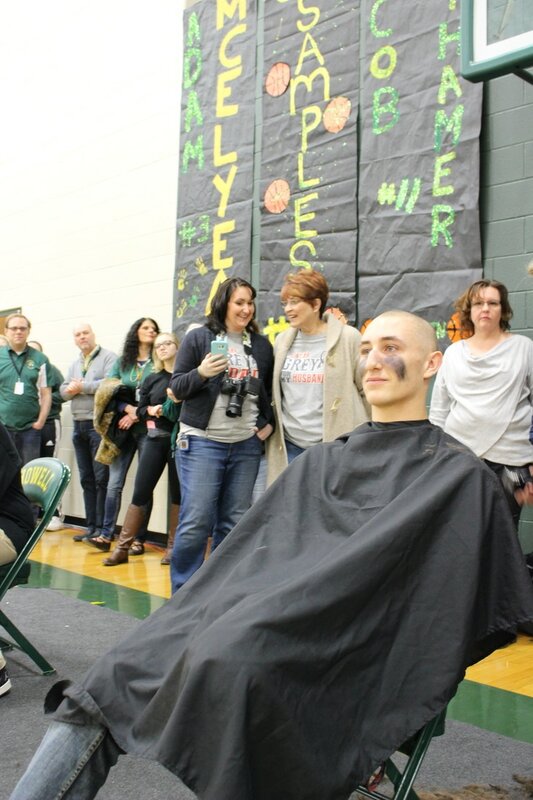 This year, Ribbon Warriors shavees fund-raised during homecoming week and get their head shaved at homecoming prep assembly. 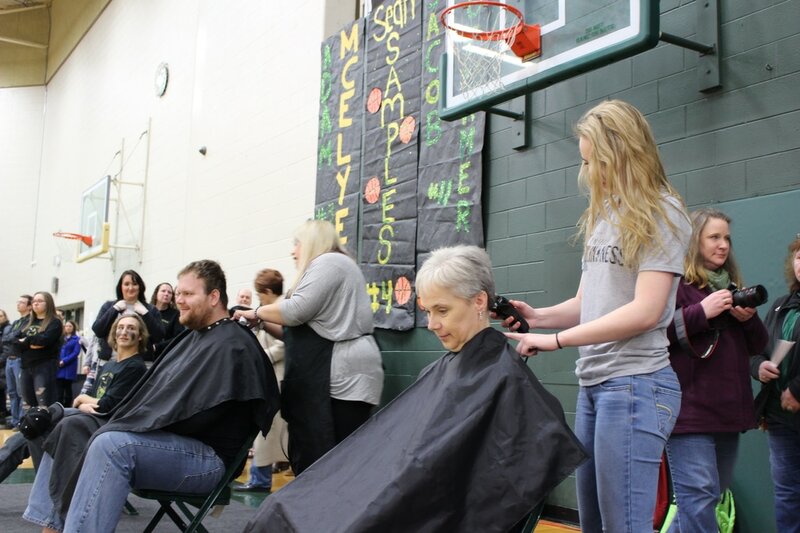 We have 2 student shavees, Senior Hannah Holster and Senior Victoria Barnowski; and 2 staff shavees, Mr. P-Webb and Luke. 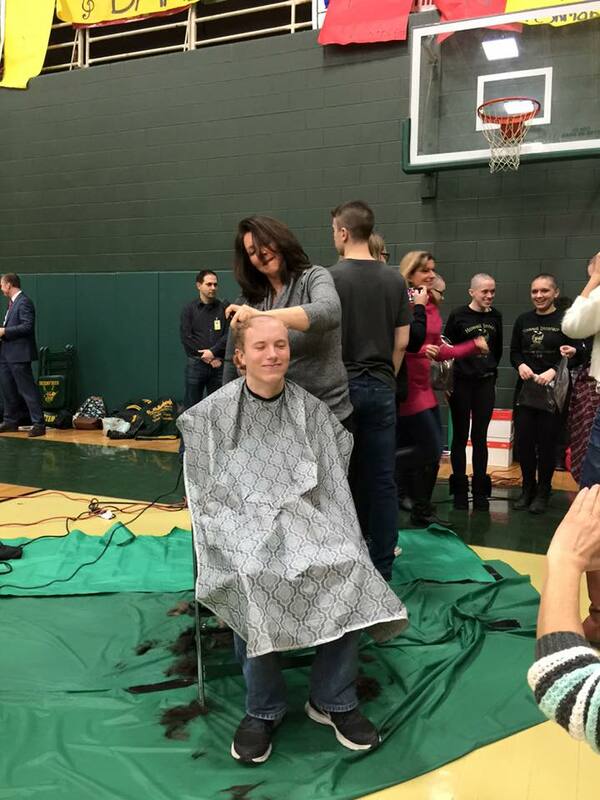 The grand total from High School is $6000. 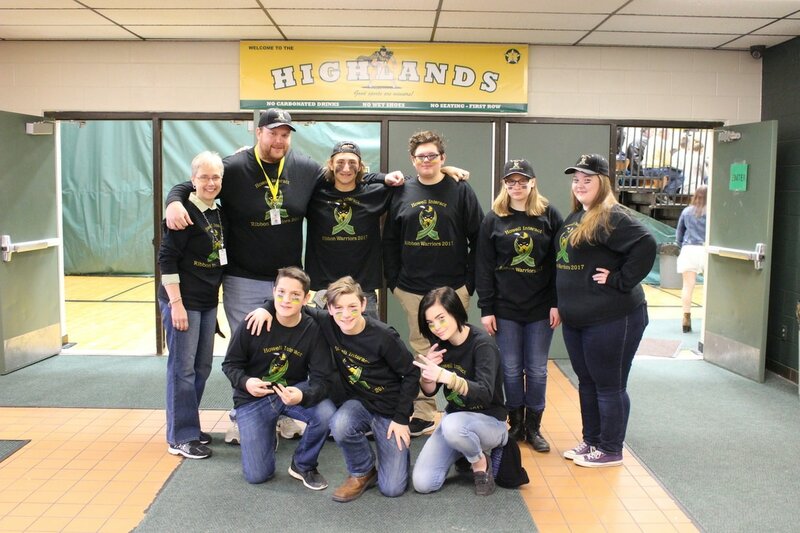 We are also expanding the fundraiser to Highlanderway Middle School and Parker Middle School. 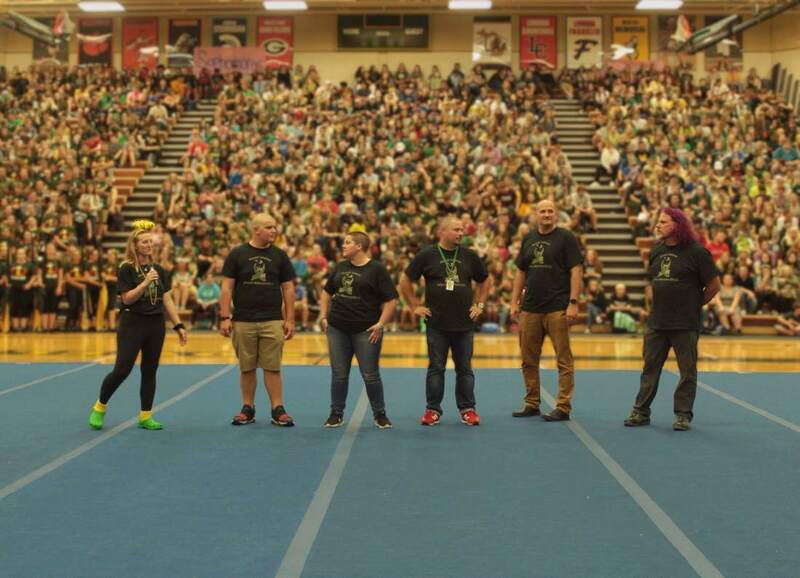 In each school, 2 teachers will be chosen to compete with each other. 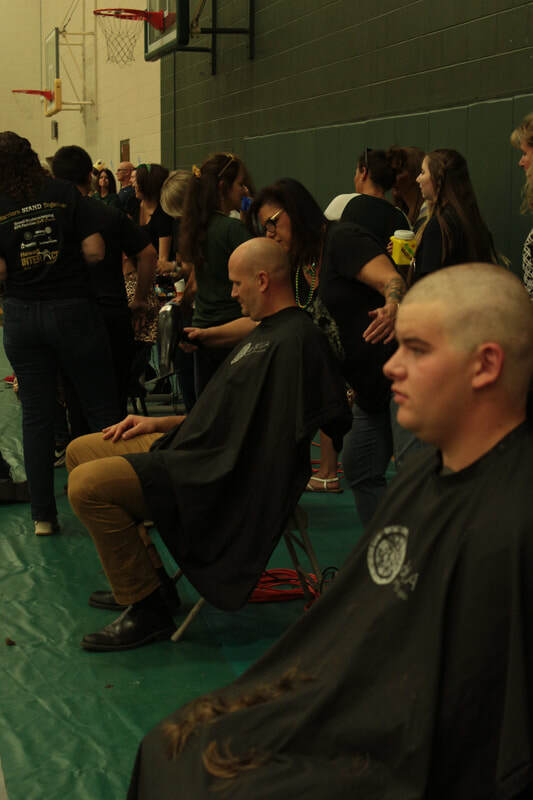 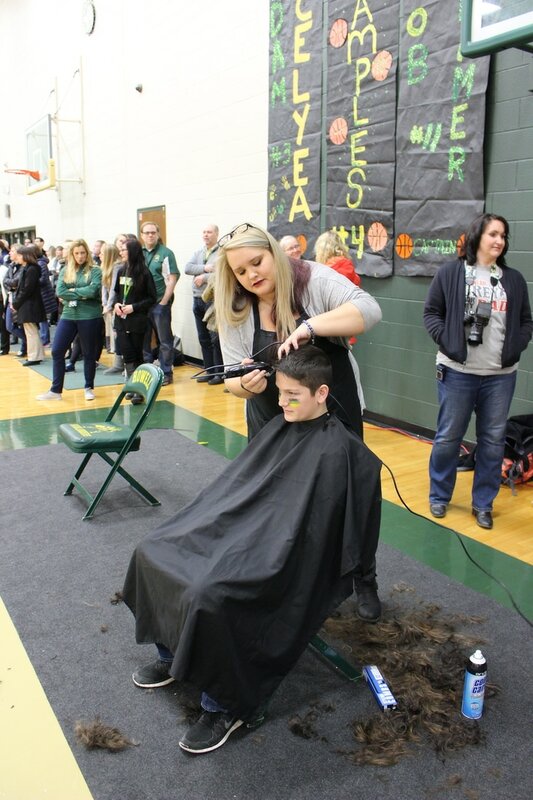 Who raise the most money in each school will get their heads shaved at the end of the week during Patriot Time at Parker and Hawk Time at Highlander Way.